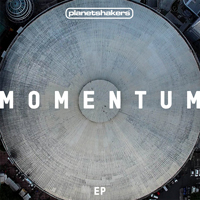 The “Momentum” extended play was released on March 25, 2016. “I Know Who You Are” was sung by Joth Hunt in the key of D sharp major or E flat major (D# | Eb). “Face To Face” was sung by Mitch Wong and Steph Ling in the key of F sharp major or G flat major (F# | Gb). “Come Right Now” was sung by Joth Hunt in the key of G sharp major or A flat major (G# | Ab).